In a situation where demonetization has affected everyone’s life, the tech giants are using it to the fullest in order to take the competitive edge in the market. 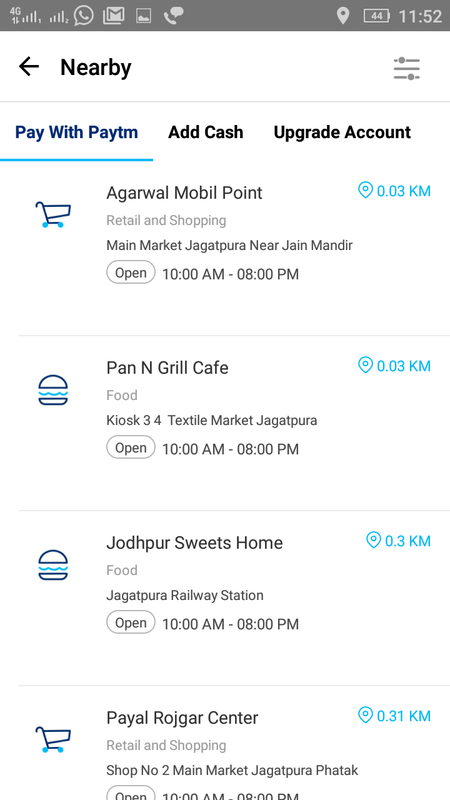 When everyone is looking to use the digital money to the fullest, PayTm has introduced a new feature named ‘Nearby’ in its app, which will help the users in identifying the merchants who accept Paytm money. This feature is introduced in the latest version of the app and users can see the feature at the top right on the front page of the app. After clicking on the icon, you will be directed to a new page which will ask for your location. After sharing your location, the app will list all the merchants near the user who accepts Paytm, giving you an option to shop without carrying a stack of cash. Most of the vendors and sellers have already started using the app to do their transactions and according to company’s stats, almost 8 lakh merchants in the country are accepting Paytm money now. The feature will further increase the number of transactions on Paytm, as it has already hit 5 million mark in a day and with this new feature, the company will be able to acquire new customers. Not only the number of transactions have increased by 700% but, the wallet money has also witnessed a growth of 1000%. As more people are downloading the app after the recent demonetization step taken by the government, the company aims to acquire more than 5 million merchants by this year end, leading to more transactions per day. 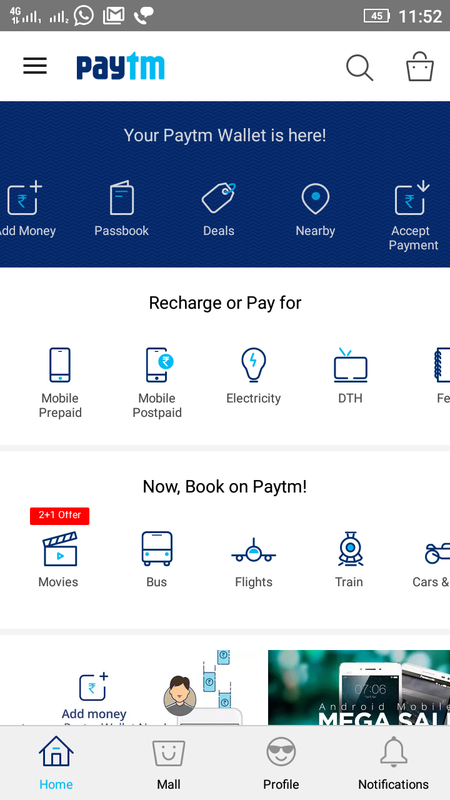 So if you are also facing issues in making day to day transactions, then install Paytm and take the benefit of the feature to make hassle free transactions.